Posted May 27th, 2014 . Perhaps it’s worth the investment of buying your own steam cleaner…. I did. 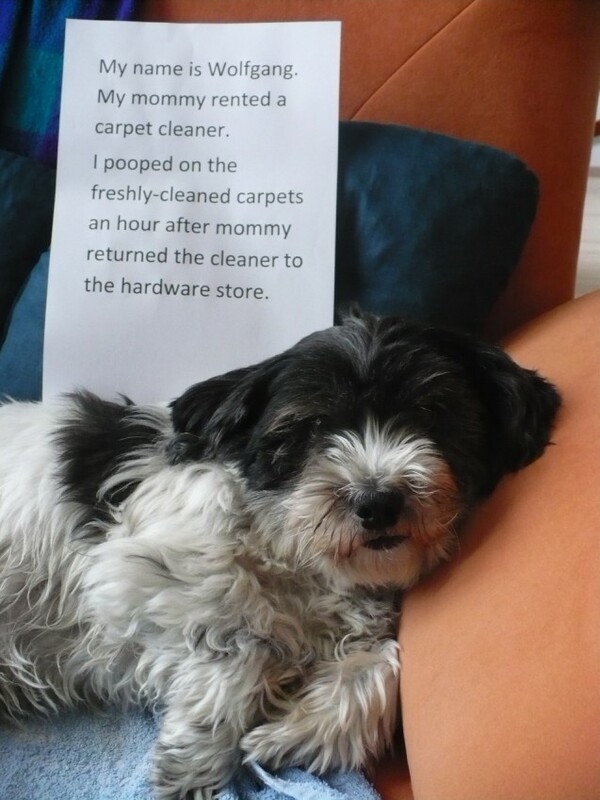 But he is adorable, hard to be mad at that little face!